Wholesale Dip Mixes,gourmet dip mixes,dessert mixes, olive oil blends. Quality Wholesale dip mix business opportunity. Low minimums of (50) packages,, top quality, competitive wholesale dip mixes. Wholesale Dip Mixes By Judecraft Specialty Foods: Low minimums, lower cost, Enjoy the outstanding taste of Judecraft Dip Mixes, Dessert Mixes, and Olive Oil Blends. We have over 15 years of experience providing the most delicious dip mix recipes and flavors for our customers. Our Dip mix products are made using the finest quality ingredients. Our wholesale program offers an excellent dip mix business opportunity for those interested in extra income. The Wholesale Dip Mixes Program requires a (50) package total order minimum to qualify. The total order must be at least (50) packages in total. Example: If (40) of one flavor and (10) of another flavor is ordered that meets the (50) minimum order. Our low minimums, competitive package pricing, along with an impeccable taste, results in the potential high profits for resellers. Wholesale Dip Mixes by Judecraft have that exceptional taste and are very affordable. The dip mixes are an ideal product for starting a dip mix business and earning extra income. Of course, selling the finest quality and delicious dip mixes is both fun and rewarding. 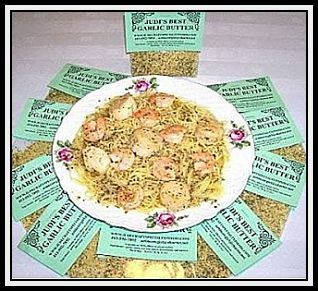 Wholesale dip mixes by Judecraft Specialty Foods. Judecraft offers the finest selection and quality wholesale dip mixes. Our wholesale dip mixes, dessert mixes, olive oil bread dippers, not only provide the finest taste but are competitively priced The wholesale dip mixes program with lower minimums makes it convenient for our customers that do not always require large orders during the year. We also have a fundraising dips program with fundraising forms for selling to groups, churches, schools, etc. The program is very easy to administer and very profitable. At Judecraft we offer the top combination of delicious taste and lower package cost. The result will be greater sales, increased profit, and your reputation as a dip mix company will be the best around. We are often advised that customers attend a particular fair event just to purchase our dip mixes. Contact Judi Bourne for dip mix samples and a quote.If you desire the ultimate combination of quality taste at a lower cost with lower minimums, Judecraft will likely be your choice. We will never pressure you to purchase more product as your comfort level is most important to us. Now for the good news. Why pay more when you can pay much less per package and purchase at lower minimums as well. We invite you to try our mixes as they are very delicious. This dip mix business opportunity is waiting for you to Increase your profits today. With our gourmet dip mixes, you will receive flavors that contain the freshest ingredients and ultimate taste. With Judecraft dip mixes you receive top quality ingredients including identical color, taste, consistency time and time again. We are often advised at events that our dip mixes are the finest tasting. The mixes are so tasty that customers will keep returning for more.